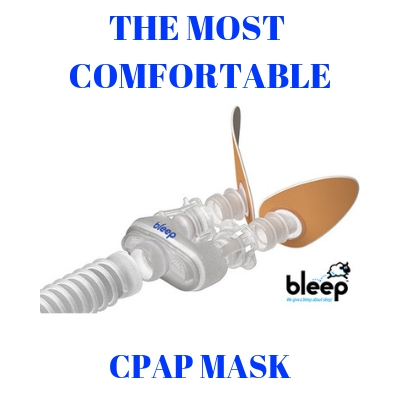 BiPAP – or BiLevel Positive Airway Pressure- is an oxygen therapy device that is quite similar in form and function with a CPAP. However, the CPAP delivers a fixed pressure while the BiLevel machine has two different pressures. 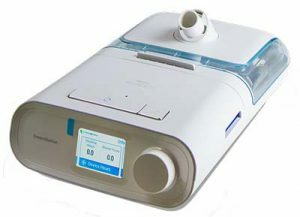 The BiPAP device delivers one type of pressure setting upon the inhalation phase and this is called IPAP and a different pressure for the exhalation phase which is called EPAP. This is a fully automatic BiPAP machine, rated as excellent by the greatest majority of users. The device is set up with a user friendly menu, colorful display and comes with an extra stylish and compact design. This BiPAP can be used both as a standalone Bi-Level device (as a fixed CPAP) or as an Auto Bi-level device. When set on Auto, it will deliver different pressures during inhale and exhale phases. DreamStation with C-Flex & Bi-Flex features is a premium category device fulfilling the needs and requirements of each patient. The C-Flex helps ensuring a smooth transition between pressure changes from inhalation to exhalation, so that users can enjoy a restful night of sleep without abrupt interruptions because of the pressure change. The ResMed S9 Auto BiLEVEL device is definitely among the top 5 BiPAP machines 2019. One of the main features of the device is that it has a whisper quiet operation, for maximum patient comfort during therapy. Thus, patients become compliant much easier and they can enjoy efficient therapy at prescribed levels from the very first few days of use. Climate Control with H5i ensures that the patients enjoy air therapy at comfortable humidification and temperature levels. Thanks to the EasyBreathe motor technology, patients can get a quiet and restful night of sleep, without being disturbed by the loud operation of the device. Thanks to the V-Auto mode, the delivery of the pressure synchronizes perfectly with the natural breathing waveform of the patient. Advanced event detection- patients receive efficient therapy at all times, since the device is capable of making a difference between Central and Obstructive sleep apnea events. Connected Care: in-built wireless technology facilitates the connection to the AirView cloud-based platform. Thus, patients can troubleshoot remotely, change device settings or receive answers to important therapy related questions. This is a truly intelligent AutoBilevel device, incorporating the comfort of BiLevel technology and Auto Adjust technology to deliver maximum comfort and therapy compliance to the patient. With the help of the outstanding Auto Adjust algorithm, the device will adjust automatically the pressure requirements of the patient on inhalation and exhalation phase. The IntelliPAP comes with a compact design, and a large LCD screen that is backlit, ensuring patients can easily read the data and make the necessary adjustments. Patients can also easily remove/replace the humidifier reservoir, which also includes an overfull protection. The device allows for a truly simplified operation, being equipped with 3 large buttons that basically control all major settings and operations of the device. This BiLevel unit also features the delay pressure function which allows the user to fall asleep on a much gentler pressure, while the device will ramp up to prescribed pressure within 0 to 45 minutes. Patients can easily set the ramp time in 5 minute increments, up to 45 minutes. Last but not least on our top 5 BiPAP machines 2019 list, you can find the BiPAP Auto SV Advanced System One by Philips Respironics. This device is capable of delivering efficient treatment even to the most complex sleep disordered patients. Care teams can stay in constant connection with their patients and change treatment settings whenever necessary. The machine can monitor sleep related important parameters such as flow limitation or AHI leaks. BiPAP Auto SV Advanced System One offers extremely detailed waveform data and actually recognizes critical indicators beyond the regular OSA signs and symptoms. Patient management becomes extremely efficient and even simple with the use of this device. Patients with difficulty to adjust to the new therapy can now get the peace of mind they need thanks to the Bi-Flex pressure relief system. Upon inhalation, the device will lower the pressure and then return to prescribed levels by the time inhalation starts. This device makes oxygen therapy extremely natural, comfortable and compliant for the patient. These are the best BiPAP machines up to date, we will keep you informed on the new machines that come out later this year. Image Is there a machine that provides a cooling feature? I reside in a very hot climate! With the ResMed VPAP (a bilevel machine like the BiPAP) you can attache a ClimateLine that will allow you to adjust the temp of the air from the 60’s to 80’s fahrenheit. You can fill up the tiny silicone ice cube trays with your recommended liquid and freeze it and drop 3or so cubes in first then pour the water to the fill line which cool down the humidification. Can these machines be used without humidifier? Absolutely. 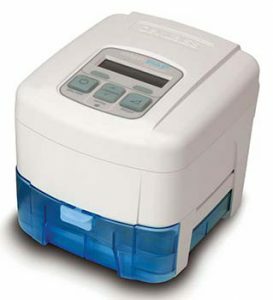 Any BiPAP or CPA can be used with or without humidification as it is not a part of the sleep therapy but a comfort feature to assist in keeper the user from waking up with a dry throat or mouth. I have been on CPAP therapy for about 10 years now and I have never used heated humidification. If you are lucky enough to not need the extra humidity your CPAP machine or BiPAP machine becomes a lot smaller is size making it easier to travel with and taking up less room on your night stand. If you need additional information please call Sleep Restfully toll free at (866) 923-272 and we will gladly talk to you about this. Sorry in my area phone calls require 10 numbers, is this a special number: 866-923-272 that works? My bad, The number is (866) 923-2727. Please call us as we are here to help. I’ve been using the DreamStation for just over a year and it’s been great. 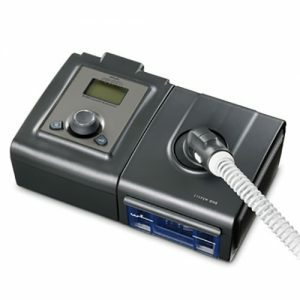 I have been using Respironics BiPap and also their CPAP machine. Uses a smaller hose to the mask, which gets twisted easily and always manages to get under your neck at night. Also, I am on home oxygen as well as BiPAP but it is difficult to attach an oxygen tube into the BiPap hose. One can always add a T-adapter to the end of the hose, but that puts it right beside the mask and can catch on hand movements during the night. Also one has to disconnect the mask to get it to fit into the SoClean BiPap cleaner’s chamber, which wears out the part with constant connect and disconnect. The hose is too short and does not have shorter add-on pieces where one could place the T-adapter farther away from the mask. If you must have home oxygen flowing into your BiPap, this is a problem. Bill there is a much better way to titrate your oxygen into your CPAP/BiPAP therapy. You just need to get an Oxygen Enrichment valve found at the following link: https://www.sleeprestfully.com/Oxygen-Enrichment-Connector-22mm-OD-x-22mm-ID and connect that at the machine then put your hose and oxygen on the valve. This will keep your oxygen line away from you and still provide the needed oxygen. Does anyone make a travel BiPAP? Currently there is not a BiPAP on the market that is the size of the Travel CPAP machines. I would bet that one will be coming down the road because once they have the CPAP machine is a travel size the only thing that would be need to have a travel size BiPAP would be an additional circuit on the mother board. This is the easiest question I have had to answer all day. I will give you two great choices. You should try RemZzzs CPAP mask Liners or Silent night CPAP Mask Liners. Both of these provide a barrier between your skin and the CPAP Mask. As an additional benefit they help with leaks and marks that appear on your face form having a mask to tight. Good luck and let us know if these help you. Where can you find refurbished bipap machines to purchase? I am not sure where you would find a used BiPAP machine nor am I sure that I would want a medical device that I do not know how it has been cared for. Since the warranty on a BiPAP machine is only 2 years I believe you are better off shopping for a new machine at a reasonable price. Please call us toll free at (866) 923-2727 and we can discuss your needs, budget and what would be your best options. ResMed makes a fabulous full face mask “Airtouch F10” that is extremely soft and comfortable. Hello. May I ask for your assistance. I was prescribed to use an auto Bipap with IPAP of 16-20 cm H2O and an EPAP of 13 cm H2O, RAMP of 40 minutes IPAP 10 and EPAP 6. Can you advice me which of the 5 BIPAP machines in this website should I purchase? Also, I travel frequently so a portable one would be a plus but not necessary. 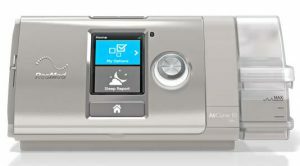 I would recommend either the ResMed Aircurve 10 VAuto or the Philips Respironics DreamStation Auto BiPAP. both of these machines will serve you will and are the finest made. There currently is not a travel size Bi level machine on the market. On the issue of purchasing a used machine: my sleep center accepts donations of old machines. I have donated two over the past 15 years or so when I was upgraded from CPAP to BiPap, and again to a more current BiPAP. The sleep center cleans and tests the machines, then either sells them at a reasonable price, or donates them to poverty patients. I also see them occasionally at Goodwill-type stores, but I would have one of these checked out at my sleep center.